It’s the FINAL Countdown! 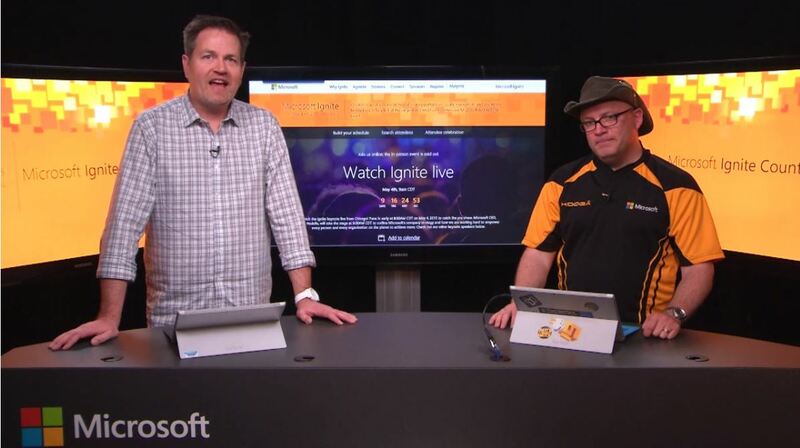 Rick Claus (@RicksterCDN) and Joey Snow (@JoeySnow) finish the season with the Microsoft Ignite Countdown Shows with episode 14, in which they give you a condensed version of their ever popular Ignite 101 sessions on Sunday, May 3, 2015 at 9:00AM and at 1:00PM in room S102. Check them out for a good rundown on Ignite, conference logistics, and much more. I’ll warn ya that this episode is a lengthy one but it’s filled with good info and worth the time to watch. I can’t do justice covering everything they talk about here, so check out the video and the blog post for all the details. If you have any questions, concerns, or suggestions, feel free to ask on the Microsoft Ignite Forums, via Twitter, as well as in the Comments section under the video. The Microsoft Ignite team monitors all questions and will respond as they have the answers or information. See ya soon at Microsoft Ignite, May 4-8, 2015 at McCormick Place in Chicago. So, Lucky number 13 of the Microsoft Ignite Countdown Show, with Rick Claus (@RicksterCDN) and Joey Snow (@JoeySnow) covers everything you need to know about the Microsoft Ignite Attendee Celebration on Thursday, May 7, 2015 and the Live Broadcasts starting on Monday, May 4, 2015. Rick and Joey are joined by a special guest, Alex Bradley, who provides details on the celebration and broadcasts. So, who is the entertainer, you ask. Well, it’s Chicago’s own, multi-platinum, Grammy nominated band, Fall Out Boy. Let’s break this down first with the Attendee Celebration. Right after your last session on Thursday, take a short walk and start celebrating. With Chicago being a foodie city, there’s going to be a crazy selection of local cuisine to sample and enjoy. 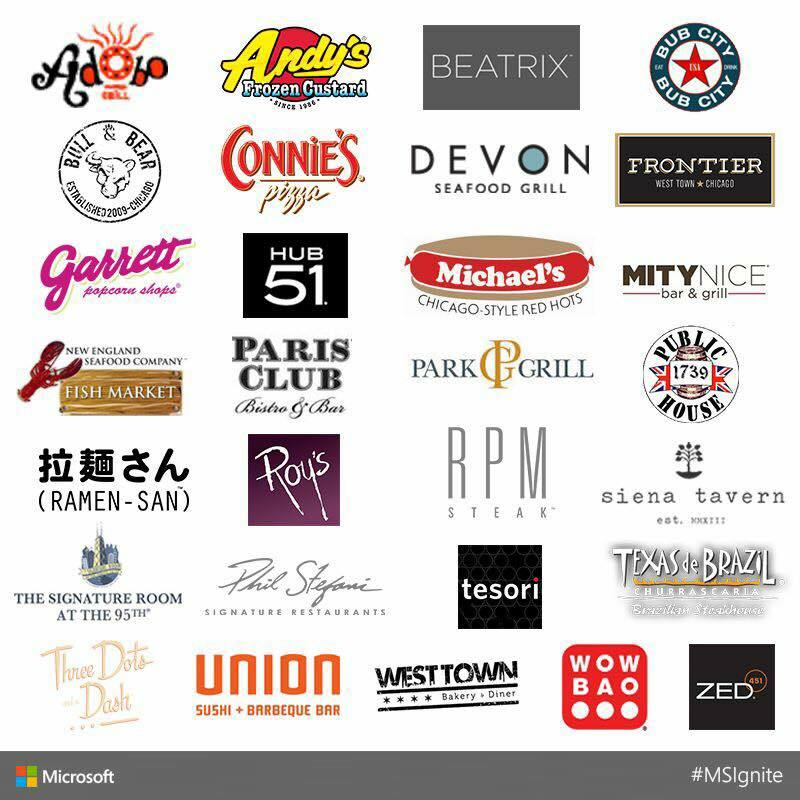 Microsoft Ignite is bringing 30 of the best local restaurants to serve complimentary samples. Check out the list of restaurants posted on Twitter. 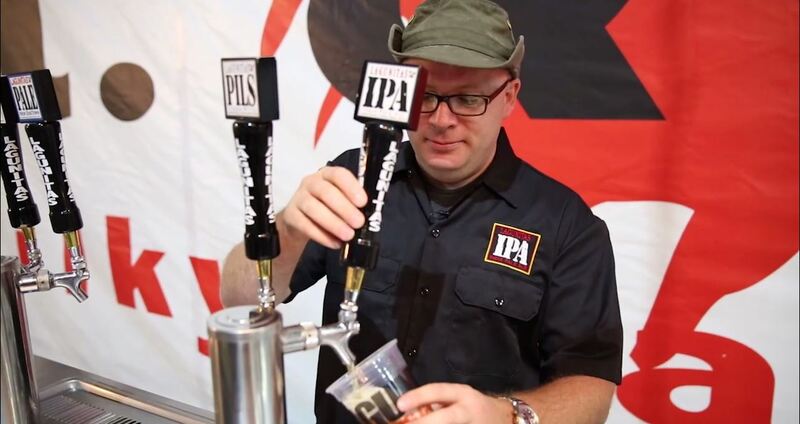 Also, there’ll be no shortage of beverages, including one of the Midwest’s largest craft breweries, Goose Island, who will have a beer garden and will provide a variety of their latest craft beer. 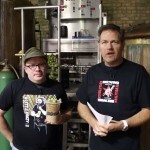 Beer reps, beer geeks, and even a few certified Cicerones. 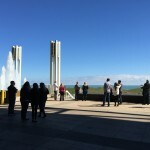 Head outside to the East Fountain Terrace, for a gorgeous view of Lake Michigan, take in the laid back atmosphere, network with fellow attendees and friends, enjoy the food trucks, a beer truck, and a cool local band. Hall D is where you’ll find music, activities, and entertainment. 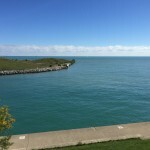 Experience a sampling of Chicago’s popular neighborhoods as you walk around discovering all the cool stuff to see and do. Concert begins at 9:00 PM at the Main Stage, which you’ll be able to view throughout the hall. No professional cameras or audio equipment are permitted during the concert. Your conference name badge is your ticket into the concert event. Bag check – If you need to leave your bags before heading to the Attendee Celebration, there will be a bag check service available in Hall B. You may want bring a pen and paper or use OneNote on your mobile device on Thursday instead of carrying your bag. Shuttle service – Bus service will be available from 6:15PM-10:45PM between McCormick Place and the conference hotels. Now, we close out with the Live Broadcast piece. On Monday, May 4, Alex and Joey will broadcast starting at 8:30 AM Central Time, before the keynote (which starts at 9:00 AM). Stay tuned immediately following the keynote for a recap and highlights of the morning keynote followed by live session room content and Channel 9 Live. Channel 9 Live will broadcast deep technical interviews between the live streamed sessions and during break times. Make sure you catch Jeffrey Snover, Mark Russinovich, Paula Januszkiewicz and Brad Anderson on the Channel 9 stage during the week! To see the live streams during the event, go to ignite.microsoft.com. Look out for one more Countdown Show next week. 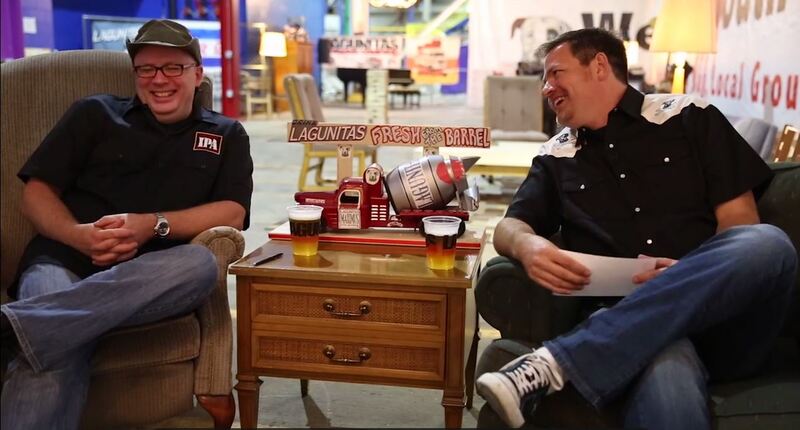 In this final episode, Rick and Joey will feature a mini-version of Ignite 101. Share your tips and tricks, ask questions, and start networking on the Microsoft Ignite Forums and social networks. 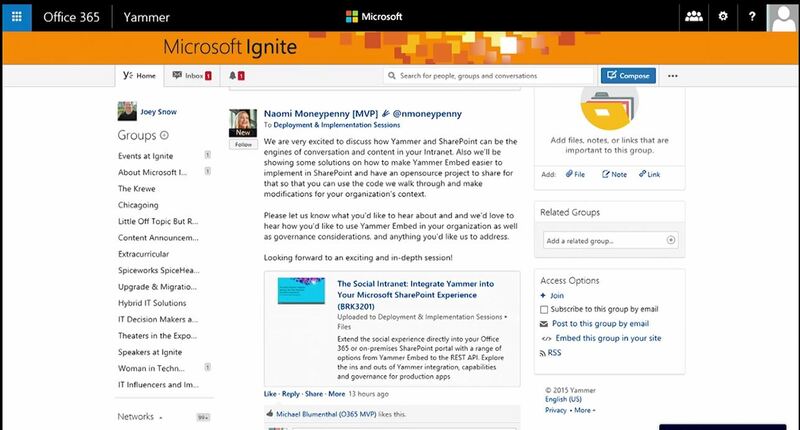 Join the Yammer network and discuss with speakers and other attendees to maximize your Ignite experience! 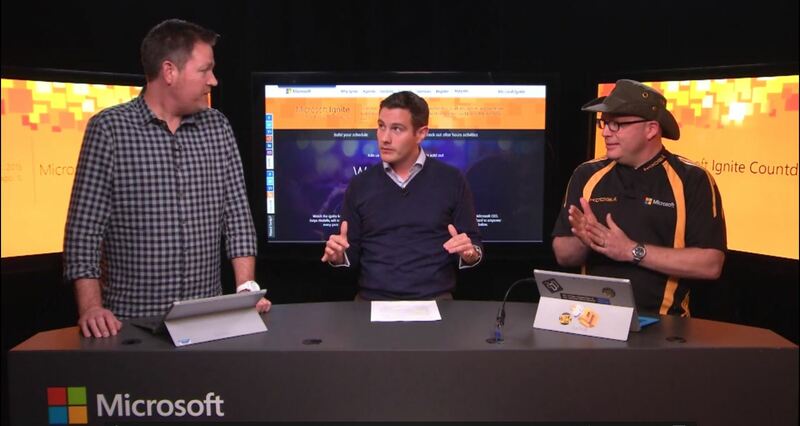 Microsoft Ignite Countdown Show (Ep. 12) – The One About What to Pack and What’s New, Two Weeks Out! We are now less than 2 weeks away from the long awaited Microsoft Ignite conference in Chicago and most of us are starting to prep, gather what we need, and pack for the trip. This week on Episode 12 of the Microsoft Ignite Countdown Show, Rick Claus (@RicksterCDN) and Joey Snow (@JoeySnow) talk about what to pack, how they prepare for the trip, and offer some good suggestions. They also talk about some new additions to the MyIgnite tool and demo some cool new features. 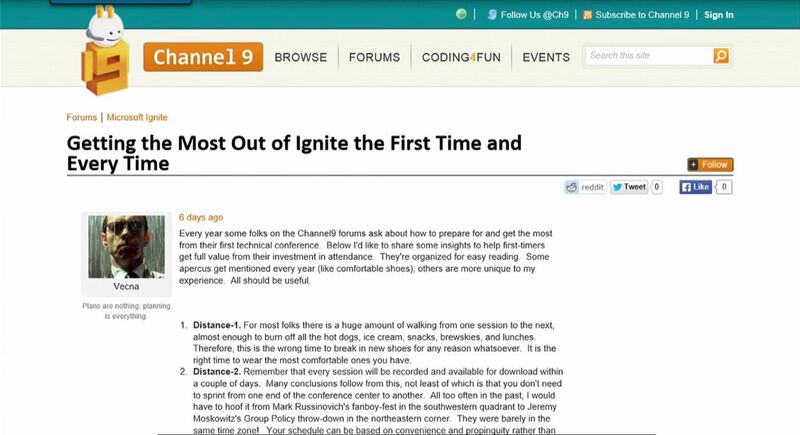 First up, we hear about a community member known as “Vecna”, who has provided a great forum post titled “Getting The Most Out of Ignite The First Time and Every Time“. Read his tips and suggestions as they are well laid out. #1: Shoes – Make sure you have comfortable shoes to wear during the conference as you’ll be spending a lot of time in them everyday. The conference involves a lot of feet power and you’ll be glad you have some good shoes. Also, make sure you have broken in your new shoes prior to the conference. #2: Tech – Start collecting all the cables and charges you’ll need to keep your devices up and running at the conference. I recommend that you pack a portable battery charger for your smartphones, especially helpful when you on-the-go and the power outlets are not easily accessible. #3: Clothes – The setting for the conference including the social events is casual. Pack comfortable clothes, don’t pack too much as you’ll receive loads of tshirts at the conference to last you for years to come. So, travel light. Plan ahead and involve your team at the office to get the most out of your company’s investment in Microsoft Ignite. Outline your questions ahead of time If you’re looking to solve a particular problem, or working on a project and looking for specific information to help with that. Joey suggests creating a trip report to share with colleagues back at the office. The fastest and cheaper method of travel from the airports to downtown Chicago is by using the train. The Chicago Transit Authority (CTA) offers a 7-day CTA Pass for $28 which you can pick up at the airport, and allow you to travel around the city all week. Check the CTA website for more information. Theater Sessions – These sessions are proposed and presented by members of the community and your fellow IT colleagues. You’ll be able to check out these sessions in the Expo Hall Lounges during the lunch breaks.. Check MyIgnite for details. 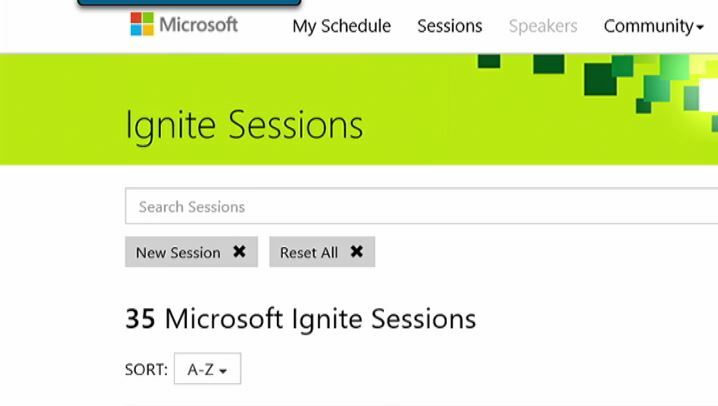 New Session Tag on MyIgnite – In the Schedule Builder, under Tags, you’ll find the New Sessions filter to help you find sessions that are newly added to the catalog. 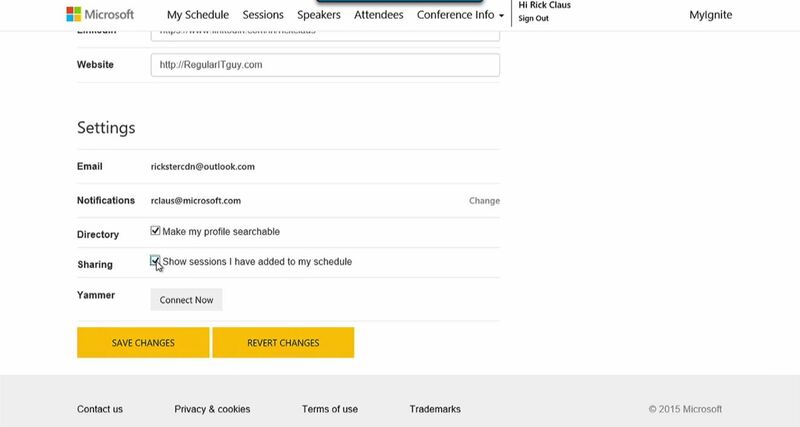 Attendee Directory on MyIgnite – Great to see my good friend Scott Ladewig used as an example by Rick and Joey for their demo on the Attendee Directory too. Use the tool to find colleagues, make new contacts, and even schedule meetings! You’ll need to make sure that you opt-in to share your profile so others can locate you and schedule meetings. Start networking folks! Share your tips and tricks, ask questions, and start networking on the Microsoft Ignite Forums and social networks. Join the Yammer network and join the discussion with speakers and other attendees to maximize your Ignite experience! See you in two weeks at Microsoft Ignite, May 4–8 in Chicago at McCormick Place. See ya at Microsoft Ignite, May 4-8, 2015, Chicago. Stay tuned for the next episode of the Countdown Show, coming up next Tuesday at 8:00AM PST / 11:00AM EST. I was first noticed by the Microsoft TechEd team during my attendance at the TechEd conference in New Orleans in 2013, which was my first TechEd conference. Based on my social media influence, I was asked to participate in a short video with my take on the Microsoft TechEd conference. I’m honored to have been given the opportunity and hand picked among the thousands of attendees. Thank you Teched and Channel 9. Talk about an informational filled episode this week. Grab a comfortable seat and get ready to listen to this week’s Episode 11 of the Microsoft Ignite Countdown Show, with Rick Claus (@RicksterCDN) and Joey Snow (@JoeySnow) who have lots to say and share. 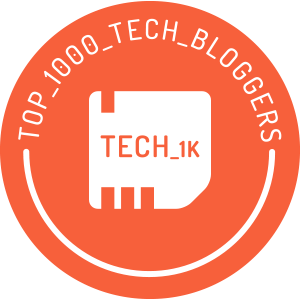 This is a long show but worth the time, with coverage on remote badge pickup, Ignite 101 session, shuttle bus schedules, meal menus, Ignite stickers, Women In Technology, and more. This has been covered in Episode 8 of the Countdown Show, so check it out for more details. 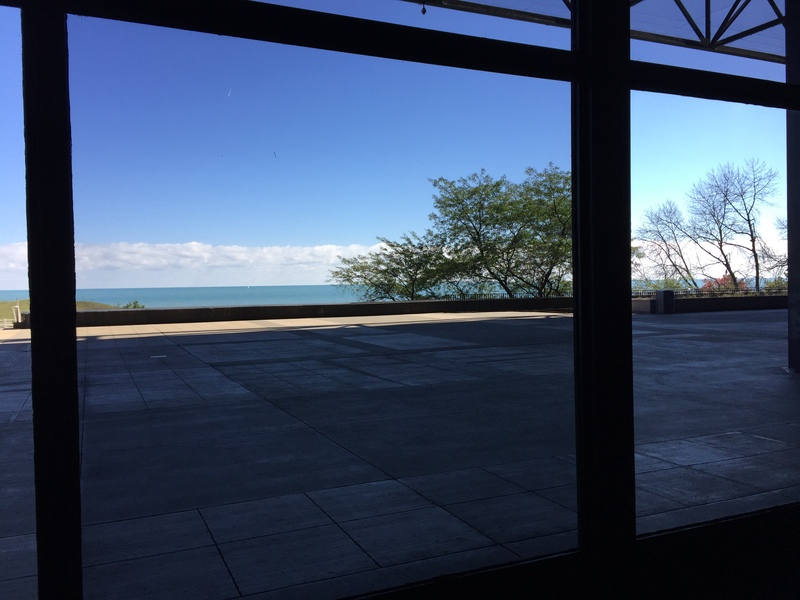 Remote badge pickup will conveniently be available starting on Saturday, May 2nd at Chicago O’Hare Airport at terminals 1 & 3, as well as various conference hotels in the city. Check in early and avoid the lines. 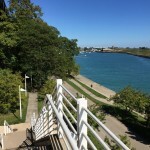 Plus use your badge to gain great discounts at participating businesses and attractions in Chicago. Whether you’re a seasoned attendee or new to the Microsoft conference scene, Ignite 101 is a great session to attend to get the lay of the land, conference info, convention center details, and other very helpful tips and info. Join Rick and Joey on Sunday, May 3rd at 9:00AM or 1:00PM for a fun “college orientation” style session. 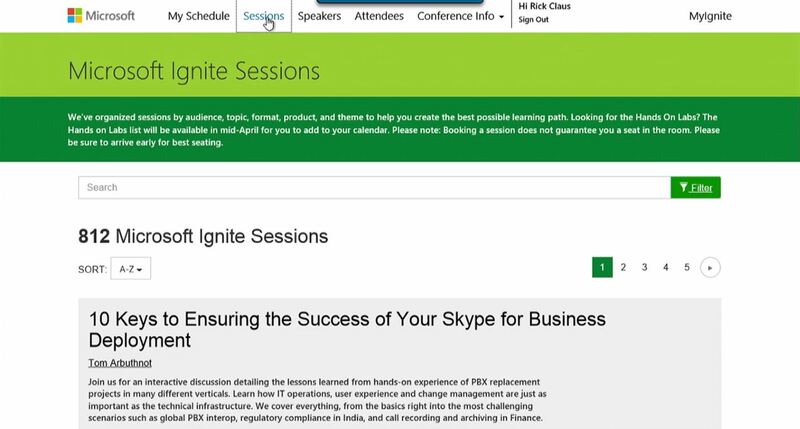 Don’t forget to add this session via MyIgnite. Shuttle bus service has been a hot topic among attendees on the forums and various social media channels. 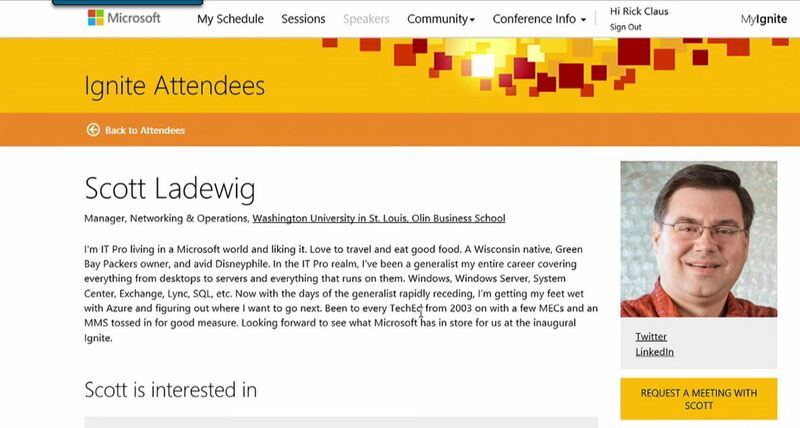 The shuttle schedules have been updated on the Microsoft Ignite Agenda, and listed below. 7:00 AM–10:30 AM. Shuttles from hotels to McCormick Place South Hall. 2:30 PM–5:30 PM Shuttles from McCormick Place South Hall to hotels. 6:30 AM–10:30 AM Shuttles from hotels to McCormick Place South Hall. 6:00 PM–8:30 PM Shuttles from McCormick Place South Hall to hotels. 7:00 AM–10:30 AM Shuttles from hotels to McCormick Place South Hall. 3:45 PM–6:45 PM Shuttles from McCormick Place South Hall to hotels. Evening shuttle service will be provided. Specific times to come soon. 7:30 AM–2:00 PM Continuous shuttles between hotels and McCormick Place South Hall. Baggage check service will be available at McCormick Place on Friday. If you require transportation between your hotel and the convention center at other times outside of the shuttle service schedules, it is best that you use the train, as it is fast and convenient. The CTA website has all the information for your transportation needs in Chicago. The next couple of items relates to networking opportunities during the conference. Networking is one of the most important aspects of attending a conference, as well as attending sessions to learn from industry experts on current and future technologies. During Ignite, one can take advantage of several networking opportunities to create contacts and build a professional support system. Microsoft Ignite has included two new networking events to assist attendees with these endeavours, which are Ignite After Hours and Mealtime Mashups with details below. Tuesday through Thursday, 8:00 PM–11:00 PM. Some select conference hotels will host After Hours gatherings offering some exclusively created drinks and food especially for Ignite. These venues also offer a comfortable, casual, and beautiful environment to help meet people, mingle, enjoy great conversations, and indulge in the special food and drinks. 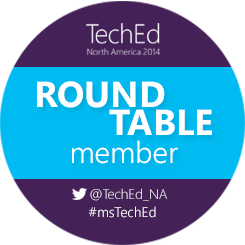 More details will be available in your OneNote Guide for locations. Tuesday through Thursday, 11:30 AM–2:30 PM. Lunch time is a perfect time to meet new people, start conversations, create some valuable contacts, and even catch up with old friends. On the following days listed below, tables will be assigned according to region, industry, and product. So, grab your lunch and a seat at one of the assigned tables in the Meal Hall and join the discussions with fellow attendees. Attendee Meal Menus – Bon Appetite! Meals served at conferences often generate buzz among attendees, sometimes positive and sometimes on the negative side. For the first time in the history of Microsoft conferences, meal menus are being disclosed and shared with everyone in advance. Attendees will have some great choices from hot and cold buffets to Grab & Go lunches. I love the Grab & Go lunch concept as it will help increase more networking opportunities and the convenience of eating anywhere and have conversations. HOT TIP: DO NOT TOSS YOUR NAPKIN and SERVING-WARE! You could be one of the few lucky winners to locate a golden ticket and score some great prizes. Keep a close eye on that golden ticket! 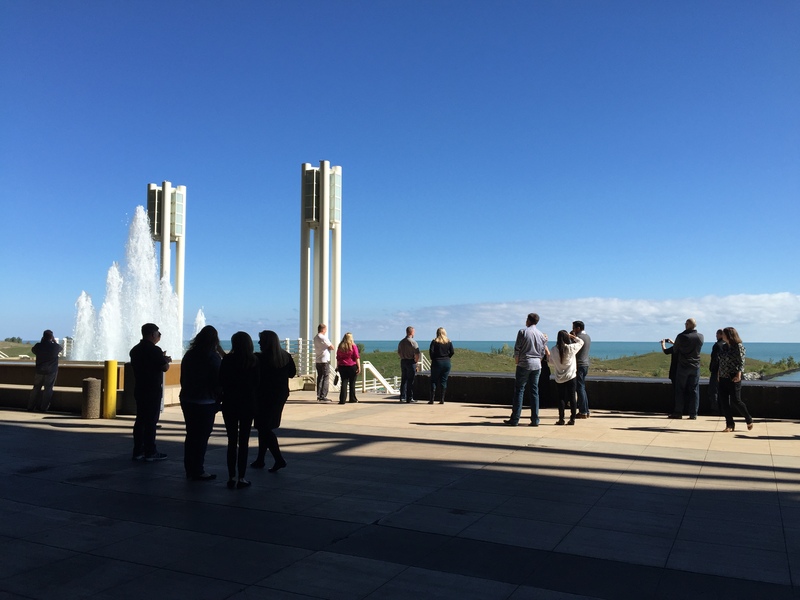 Keep watching for more tips on making the most of your experience at Ignite, and more ways to enjoy Chicago! Keep in mind that Microsoft Ignite taking place May 4-8, 2015, in Chicago is SOLD OUT! This week on Episode 10 of the Microsoft Ignite Countdown Show, Joey Snow (@JoeySnow) flies solo without Rick Claus (@RicksterCDN), however he is joined by a special guest, Olaf Hubel (@OlafHubel), senior product marketing manager with the Office 365 team, and who is responsible for the content on Microsoft Ignite. 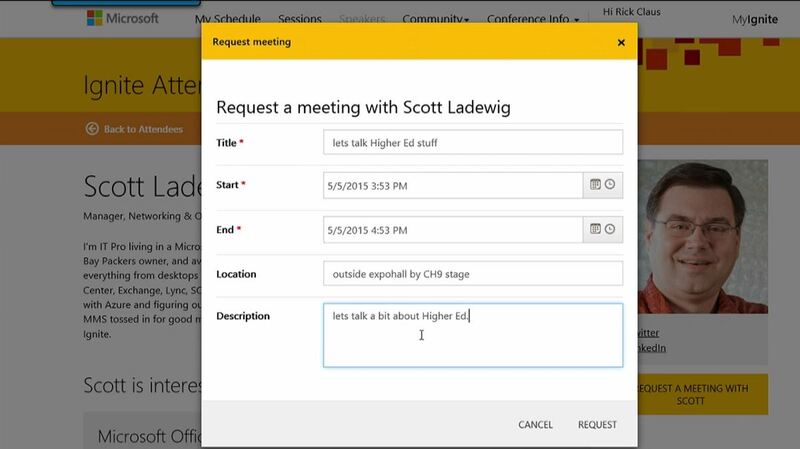 Joey provides some news bites on Ignite which you can catch up in the video and he answers a question asked on the Microsoft Ignite forum. Question: Where will I find the remote badge pickup stations at O’Hare International Airport? Answer: Remote badge pickup at O’Hare is located in the baggage claim area for terminals 1 and 3. You can’t miss it! Remote badge pickup at O’Hare is available: Saturday 10:00 AM–8:00 PM / Sunday 8:00 AM–7:00 PM. In this episode, Joey and Olaf demonstrate on how to use the Yammer network on MyIgnite, how you can join discussions, ask questions, network, and interact with speakers and other attendees and do much more via MyIgnite and the Yammer network. I am excited to see my good friend, Naomi Moneypenny (@nmoneypenny) used as an example in the demo, highlighting how a speaker such as her is using the Yammer network to communicate and engage with her attendees in advance which will help guide and allow her to plan the content of her session accordingly. FYI – Naomi is a MVP, a great speaker, a fellow Microsoft Ignite Roundtable member, and a wonderful person. You are encouraged to build your schedules and even double and triple book sessions within the same time slots. The advance schedule builds by attendees will provide valuable information to Ignite planners on which sessions are popular, how to schedule them into appropriate rooms, and offer repeat sessions if needed. Since, the room assignments are not currently included in the catalog, I would recommend that you hold off on exporting your schedule to your calendar until rooms have been assigned to the sessions which will happen as we get closer to the conference. This will save you the hassle of exporting and importing into your calendar multiple times. Finally, make sure you update your profile for the Attendee Directory, which you can do through MyIgnite, with pertinent information such as your bio, interests, social tags, photo, and contact information, so you can start networking and connect with others with similar interests, even before you arrive in Chicago for the conference. You will also have a choice to share your schedule with others, as well as opt-in to be listed in the Attendee Directory if you choose to do so. 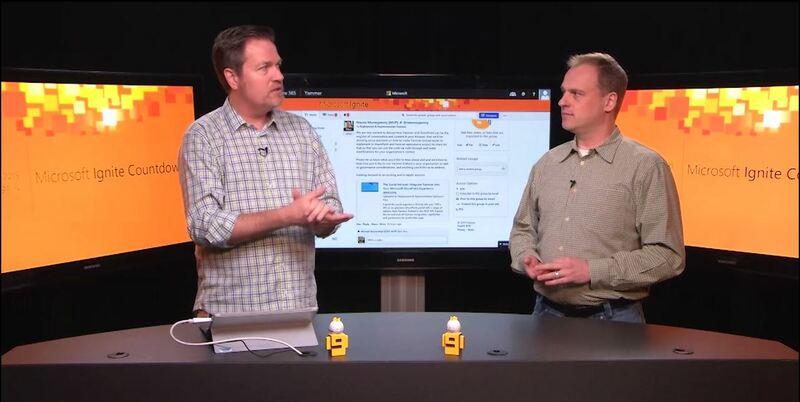 Watch the video to see Joey and Olaf demonstrate how to use the Yammer network on MyIgnite. 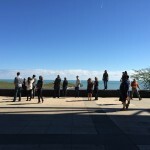 Keep watching for more tips on making the most of your experience at Ignite, and more ways to enjoy Chicago! Keep in mind that Microsoft Ignite taking place May 4-8, 2015, in Chicago is currently SOLD OUT! The anticipation and wait is over. This week on Episode 9 of the Microsoft Ignite Countdown Show, Rick Claus (@RicksterCDN) and Joey Snow (@JoeySnow) bring us the 2nd most requested show, all about the Schedule Builder. You’ve been asking when you can start building your schedules, well now you can. The Schedule Builder is now LIVE on MyIgnite! The Schedule Builder is greatly improved from previous years and has some wonderful capabilities, especially with the filtering options that is going to drastically ease the experience of building one’s schedule. Along with the Schedule Builder, a conference multi-tool known as MyIgnite is rolling out, with more features as we get closer to the conference dates of May 4-8. This tool, which is basically a digital hub will help enhance everyone’s experience with Ignite. In it’s current phase of development, the MyIgnite tool will include the Schedule Builder, provide access to sponsor and exhibitor information, and the ability to join the Yammer network. 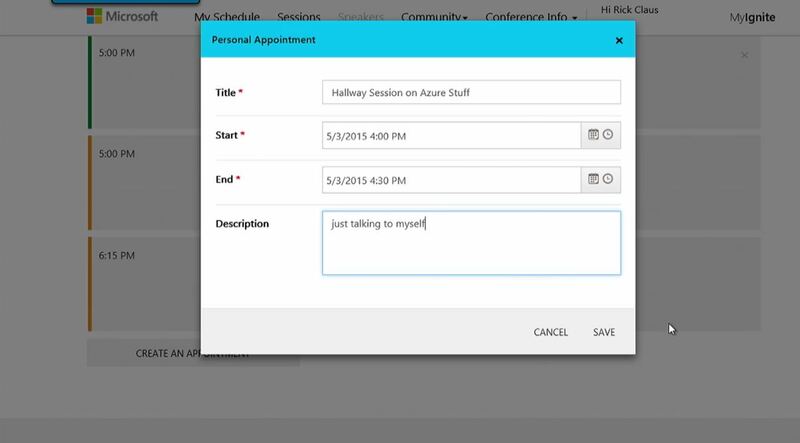 The tool is evolving and the future functionality will include the Attendee Directory, a meeting scheduler, and more. In order to experience the full functionality and take advantages of what the tool offers, you will need to associate your Windows Live ID with your Microsoft Ignite registration. To do so, go to http://ignite.microsoft.com and click on “I’ve already registered”, and follow the steps to associate your Live ID with your registration. This is the first step you need to take before starting with the Schedule Builder. Microsoft Ignite encourages you to build your schedules and even double and triple book sessions within the same time slots, which will help you when you have a conflict or a change of mind with the sessions you want to attend at the last minute. The advance schedule builds by attendees will provide valuable information to Ignite planners on which sessions are popular, how to schedule them into appropriate rooms, and offer repeat sessions if needed. Since, the room assignments are not currently included in the catalog, I would recommend that you hold off on exporting your schedule to your calendar until rooms have been assigned to the sessions which will happen as we get closer to the conference. This will save you the hassle of exporting and importing into your calendar multiple times. Keep in mind that seating for the Hands-On-Labs (HOL) are on first-come-first-served basis and therefore, they are not guaranteed. Without further delay, watch the video to see Rick and Joey demonstrate how to use the Schedule Builder and how you can update your profile. 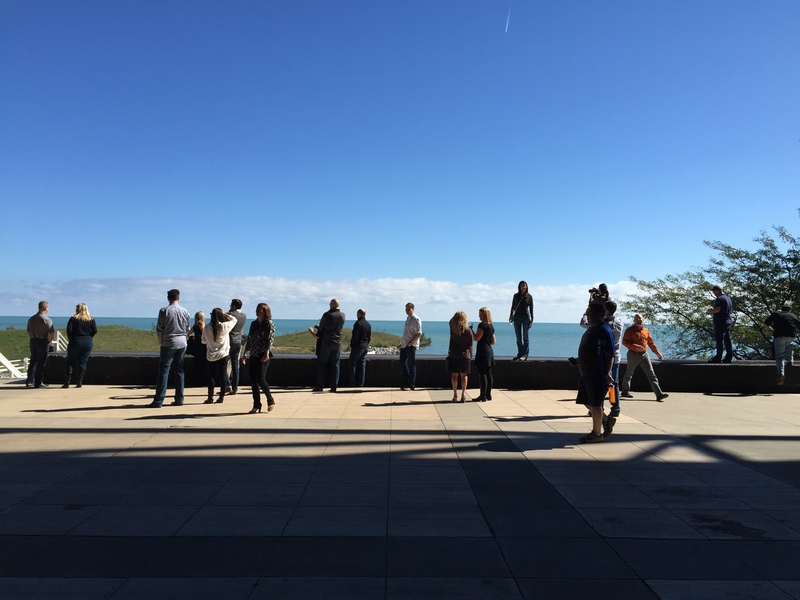 Keep watching for more tips on making the most of your experience at Ignite, and more ways to enjoy Chicago! Register now for Microsoft Ignite, May 4-8, 2015, Chicago. 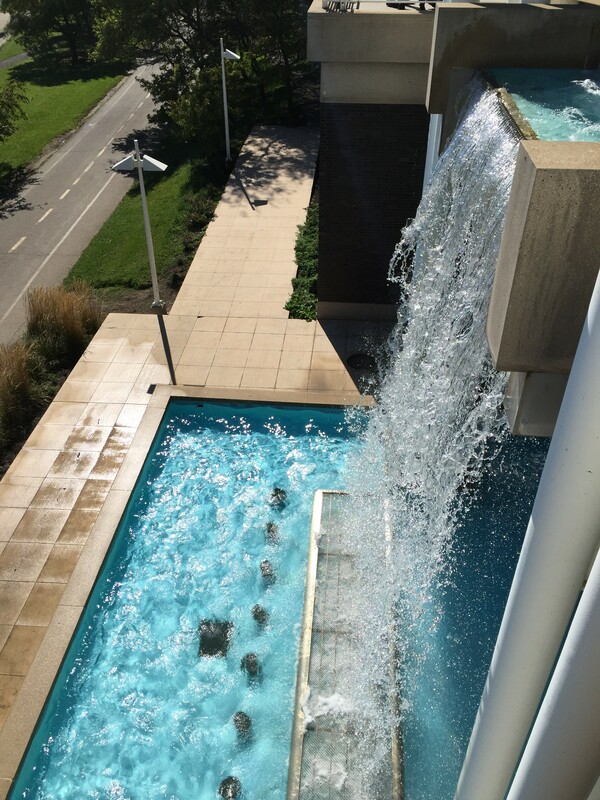 This week on Episode 8 of the Microsoft Ignite Countdown Show, Rick Claus (@RicksterCDN) and Joey Snow (@JoeySnow) save the best for last in terms of their most favorite hot spots in Chicago. 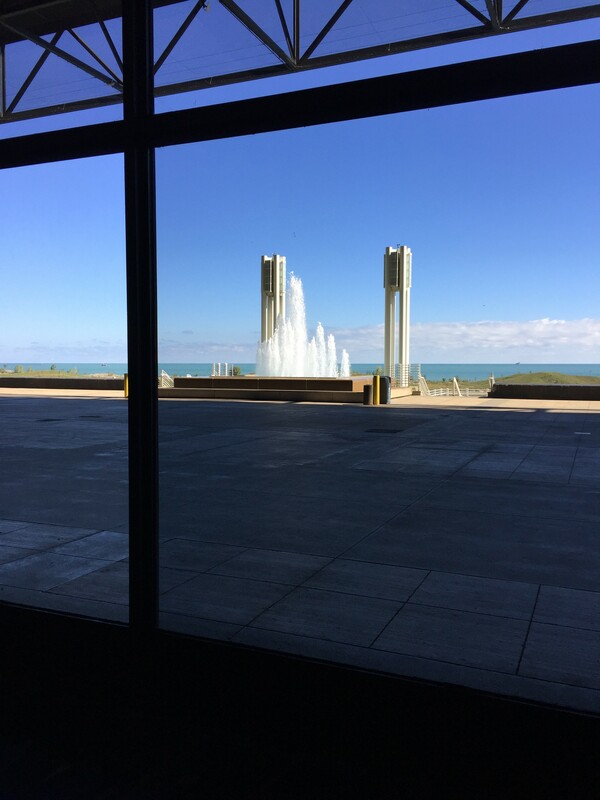 And they also talk about the early badge pickup which you’ll be able to do at various remote locations, which are several downtown hotels and at Chicago O’Hare airport. Microsoft Ignite is offering the convenience of early badge pick-up at the locations listed below in the Chicago area. It’s highly recommended that you take this opportunity to pickup your badge early so that you can avoid the lines on Monday morning prior to the keynote. Early badge pick-up will be available on Saturday, May 2 and Sunday, May 3 starting at 10:00AM CST. Please note: This is offer is for the badge only. All other materials including bags must be picked up at the McCormick Place Conference Center. Rated by Yahoo as one of the Best Irish Pubs in America for St. Patrick’s Day Celebrations. 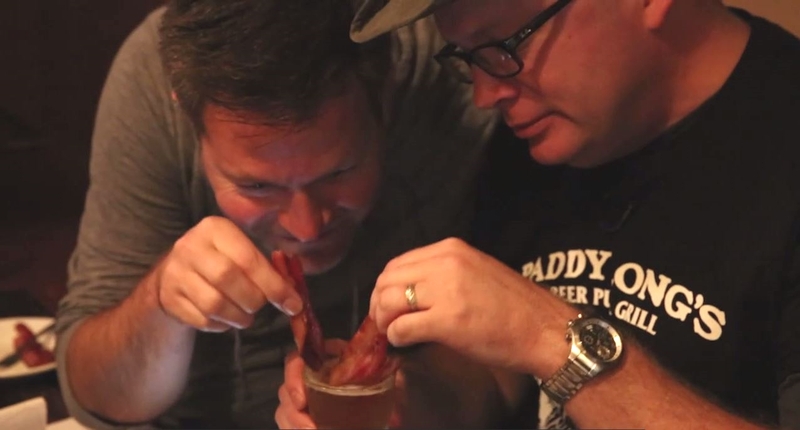 Paddy Long’s features 18 beers on tap and specializes in all kinds of bacon. 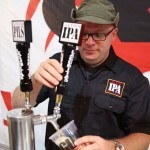 Beer and bacon tastings are offered weekly and a brunch on Saturday and Sunday. Their other location is called Kaiser Tiger located on the West Loop. A great Chicago BrewPub located in bustling Logan Square neighborhood, produces about 50 different styles of beer every year. Check out their amazing brew and their yummy food. Great atmosphere, great beers, and great food, not to be missed. Voted by People’s Choice Award in 2014 as the best burger in Chicago. Rockit is known for it’s cocktails, bourbons and whiskeys, and a selection of 6 craft beers on tap. Quieter atmosphere downstairs and a much more livelier setting upstairs with pool tables and lots of TVs. An amazing brewery in a massive warehouse offering some fantastic beers. Come check out the brewery where they offer tours on weekdays and enjoy some fresh beers in their tap room. The catwalk tour of the brewery is awesome. And finally, what is Ignite Rocks? It is what was formerly known as the Jam Session at TechEd. Come check out fellow attendees and speakers show off their musical talents, and feel free to take part if you like to do so. Great time to relax, enjoy some great music, and network with fellow attendees. Ignite Rocks takes place at the House of Blues on Monday, May 5 from 9:00PM-Midnight. Also recommend that you follow Choose Chicago, which is the official guide for Chicago offering a vast amount of information relating to this awesome city. The friendly folks at Choose Chicago are quick to answer and offer valuable advice on your visit to Chicago. Follow and check them out as well. 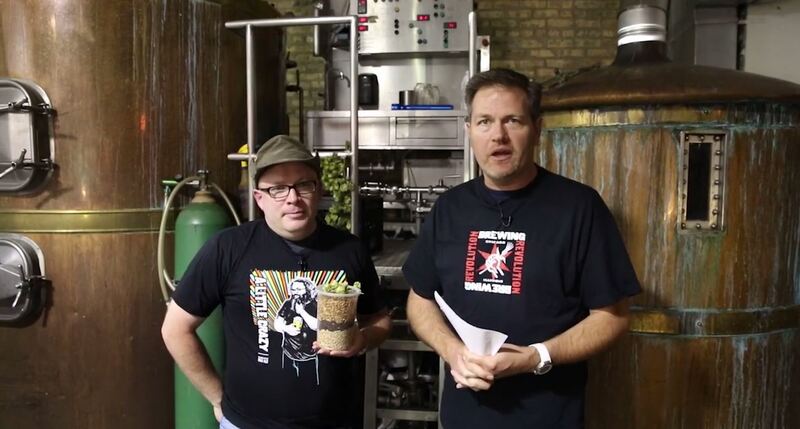 This week on Episode 7 of the Microsoft Ignite Countdown Show, Rick Claus (@RicksterCDN) and Joey Snow (@JoeySnow) take on more questions from the Microsoft Ignite Forums, and take you on a tour of three classic Chicago hot spots. 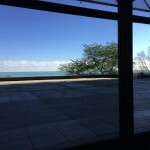 Question #1: If you only had time to visit one Chicago destination while at Ignite, what would it be? Answer: Rick enjoyed the river architecture boat tour, which was covered in Episode 3 of the Countdown Show. Joey offered two of his top choices. 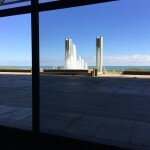 If you’re an art lover, then the Art Institute of Chicago is the place to be. 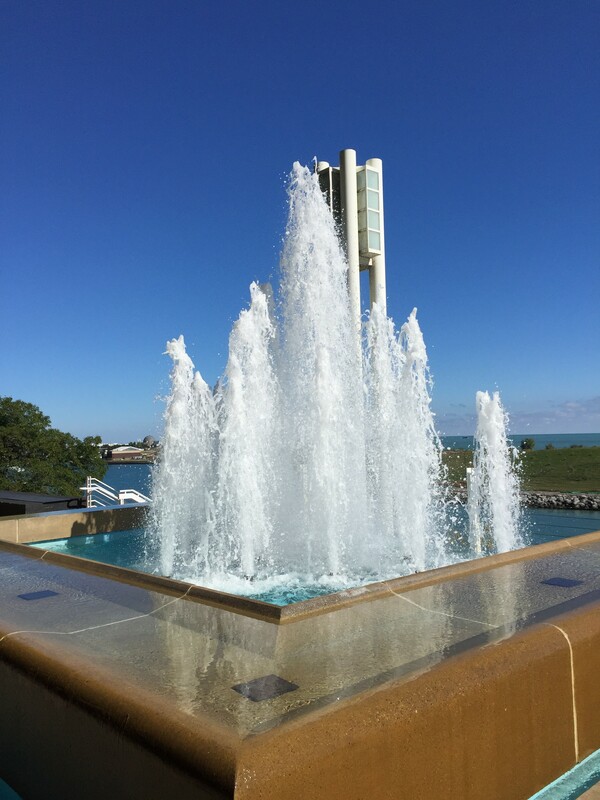 You could easily spend the entire day from opening to closing and enjoy every single minute of your visit. 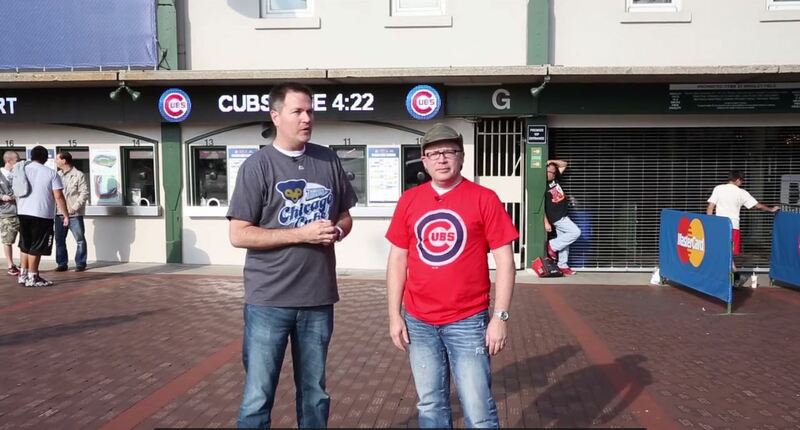 If you’re a sports fan, then you must catch a game at Wrigley Field. Question #2: Do you have tips for first-time attendees? Answer: It’s highly recommended that you keep watching the Countdown Shows, specifically an upcoming episode which will provide plenty of tips for the first time attendees. 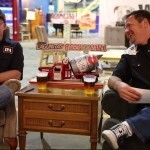 Hot Tip: Rick and Joey offer a great tip for all attendees but especially important for first timers to the conference. “Don’t wear new shoes to the conference… your feet will be killing you.” You’ll be doing plenty of walking, and believe me, you’ll be doing plenty of walking! If you’re planning on buying new shoes for the conference, buy them now and start breaking them in. 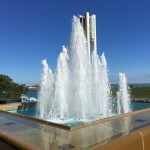 Check out the virtual tour of the top three hot attractions in this week’s segment listed below. If you’re in the mood for some Blues while in Chicago, then you must check out Buddy Guy’s Legends. You can catch live shows every single night in this cozy little club jammed packed with some amazing Blues memorabilia. Food selection here is yummy New Orleans style, such as the classics po-boys and catfish. Get your tickets in advance and it’s highly recommended that you plan to arrive at least an hour early to get yourself a good seat. Keep in mind that it’s open seating and therefore, there are no reserved seats available. If you plan to check out a show with some friends, make sure that everyone in your party arrives together, as this club fills up fast. 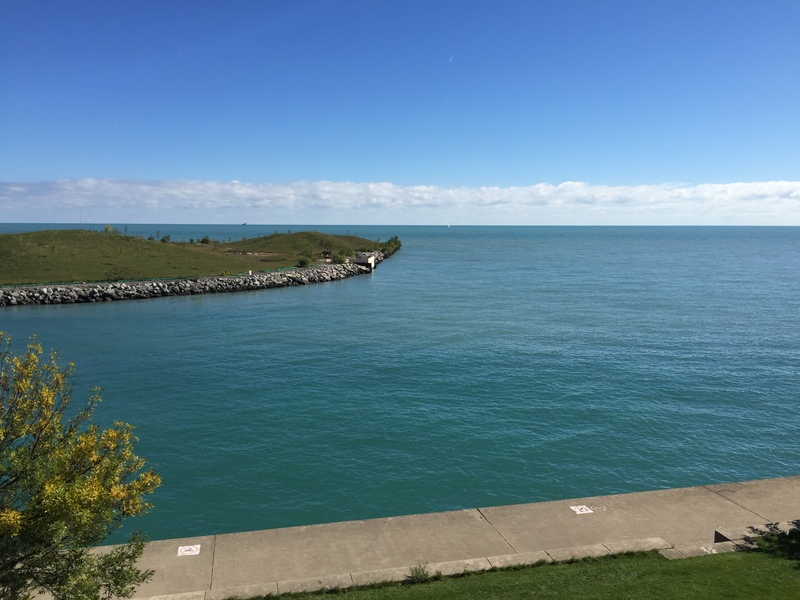 Chicago’s historic Navy Pier is not only the number 1 attraction in Chicago but a top destination in the Midwest, drawing approximately 9 million visitors annually. 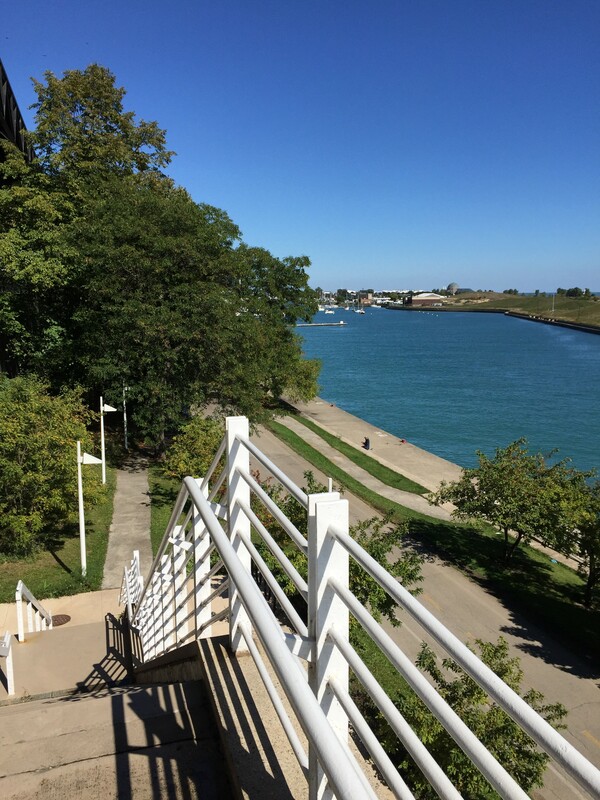 Navy Pier has something for everyone with 50 acres of parks, shops, restaurants, an IMAX Theater, Chicago Children’s Museum, a Ferris wheel, various rides, and much more. 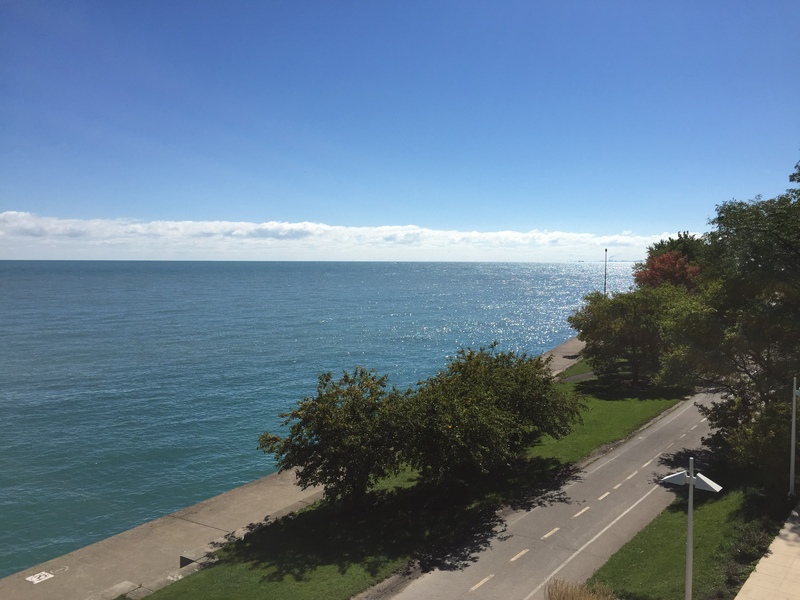 It’s a great place to take a stroll on the pier and check out the Chicago skyline, and have something to eat and drink as well. Play Ball! 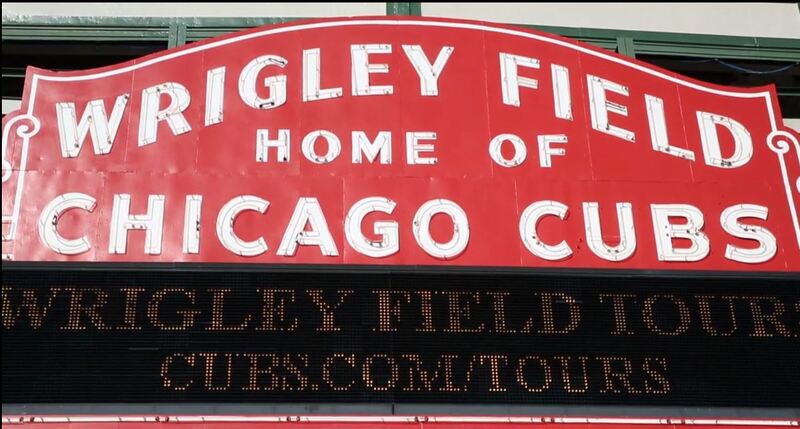 Any sports fan knows this iconic home of the Chicago Cubs. 101 years of history and a landmark not to be missed. Get your tickets, catch a game, and have a great time. 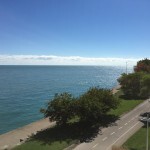 I highly recommend that you follow Choose Chicago, which is the official guide for Chicago offering a vast amount of information relating to this awesome city. The friendly folks at Choose Chicago are quick to answer and offer valuable advice on your visit to Chicago. Follow and check them out as well. One of the most sort after Countdown shows is here and its all about the BAG(s)! Yup, you heard it right, bags. Not one, not two, not three, but four trim colors. Each Microsoft Ignite attendee will have a choice of blue, orange, yellow, or green trim colors on ballistic black backpacks. Each bag is identical and comes with a matching water bottle and a removable accessory bag which zips open and can lay flat to allow for easy access. This accessory bag is ideal for cables, adapters, batteries, flash drives, memory cards, and other small items which tend to disappear within a large bag. In short and sweet, these bags are durable, made of ballistic material, has zippered compartments, pockets, key chain hook, padded backpack straps for comfort, padded back with air channel for support, and completely padded compartments to keep your laptops and tablets protected. Watch the video and see how Rick packs it full with several of his devices including his hefty 17″ laptop. It’s crazy but he demonstrates that it can be done. So, this week on Episode 6 of the Microsoft Ignite Countdown Show, Rick Claus (@RicksterCDN) and Joey Snow (@JoeySnow) talk all about the bags. Watch the video for complete details of the bags! For the sake of fun, tweet your choice of trim colors with the hashtags #IgniteYellow, #IgniteGreen, #IgniteBlue, or #IgniteOrange.